Ollie Webb Center, Inc. is an Equal Opportunity Employer and participates in the e-Verify Program. The Direct Support Professional (DSP) working in our vocational department(s) provides habilitation to adults with Intellectual and Developmental Disabilities as well as Acquired Brain Injuries. 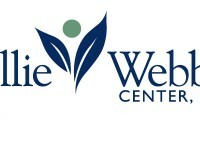 Ollie Webb Center, Inc. provides vocational services in two formats: day service and supported employment. Habilitation consists of assisting the individual with developing or improving skills in vocational and community-based environments so as to increase and improve the individual’s independence within these areas. This DSP position pays between $10 – $13 per hour based on experience. Cover letters and resumes can be sent to ldougherty@olliewebbinc.org or faxed to 402.342.4857.